Andrew Pratley is a surfer who completed his Bachelor of Education and Graduate Diploma in Arts Education before finally finishing an Associate Degree in Multimedia. After teaching for a number of years he formed a band, The Bunyips, who released three kid’s albums, two of which were with ABC Music. The Bunyips performed at a vast variety of venues in both Australia and Japan. Around this time Andrew also worked as a solo children’s performer at a range of children’s care services. As a child Andrew lived in the Solomon Islands for four years. He spent much of this time swimming and canoeing in a crystal clear river and still has a strong aversion to wearing shoes. His interests now also include drawing, painting, travel and photography. 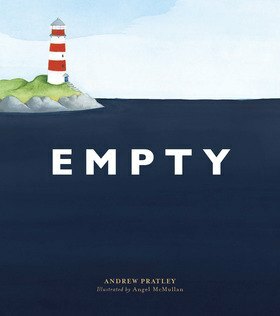 Andrew’s book, Empty, is about a young girl who is seeking a sense of purpose, belonging and meaning. She is caught up in the struggle of self-doubt and insecurity when she learns that developing friendships and helping others can actually help create the meaning and sense of belonging she is searching for. The book encourages children to have an outward focus and broaden their personal horizons. Andrew resides on the NSW North Coast with his wife and five children where he currently works as a school teacher (when he’s not surfing...).